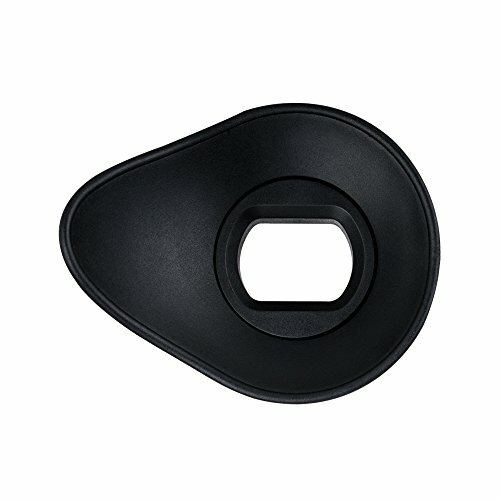 The JJC ES-A6300 Oval Soft TPU Rubber Eyecup is specially designed for Sony and can be used to replace Sony FDA-EP10 eyepiece. Be Suitable for the professional technicians. The rubber eyepiece for Canon links eye to camera for improved viewfinder optics and works great for blocking out ambient light, preventing unwanted light, dust and moisture from entering your viewfinder. It allows more comfortable viewing when the camera is held to eye, especially for glasses users, and it also protects your glasses from scratches. The soft TPU rubber Eyepiece viewfinder adopts an ergonomic oval shape to fit your eyes better, especially for glasses users. Besides, unique self-locking mount system keeps eyecup securely and tightly in place. The Eyecup is 360? rotatable, so you can adjust it for horizontal or vertical view. 1. Please make sure this item is the right one which is suitable for your Sony Mirrorless Digital Camera according to the models we give before purchasing it.